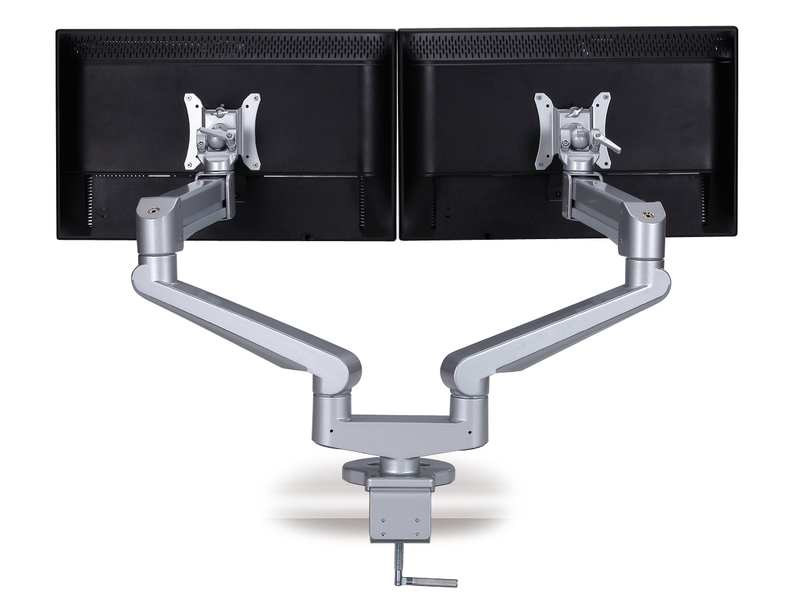 This is an elegant heavy weight monitor arm that combines strength with ease of movement. Thanks to an internal gas strut, it gives the users fingertip control over monitors that weigh up to 19 Kg. pr. arm. It is therefore the ideal choice for workspaces occupied by different users such as hot desks and call centres. 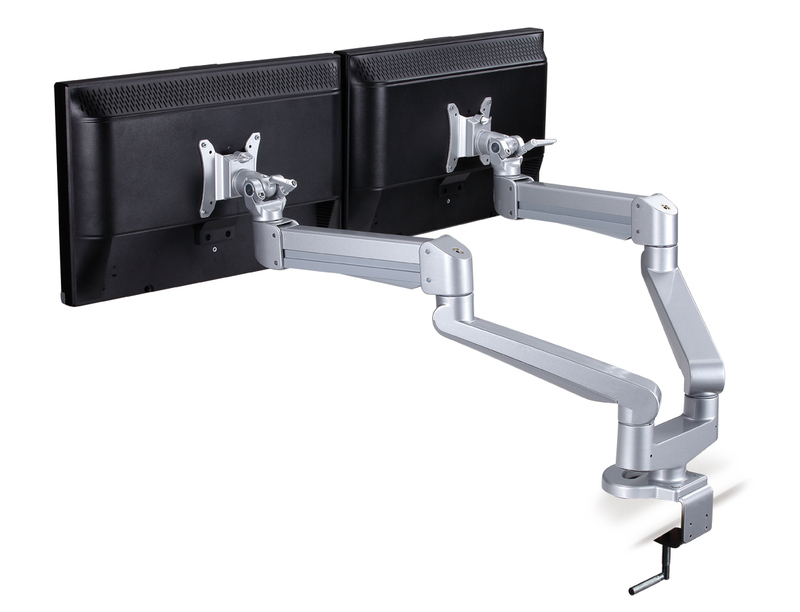 For desk mounting, it can be used, as its horizontal forearm sets a base for screen height. Easy to install on the table top with desk clamp or grommet Mount. Maximum weight: 8-19 kg per arm. VESA Compatible: 75 x 75 mm and 100 x 100 mm. Suitable for tabletop thickness from 16 mm to 56 mm. Length fully extended: 518 mm. 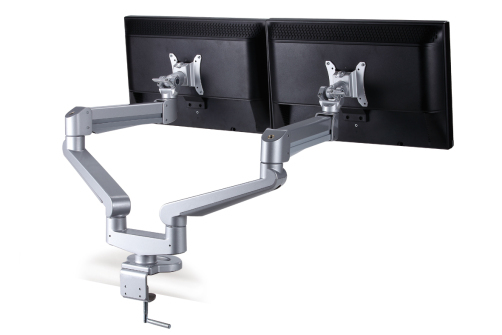 This is an elegant heavy weight monitor arm that combines strength with ease of movement. 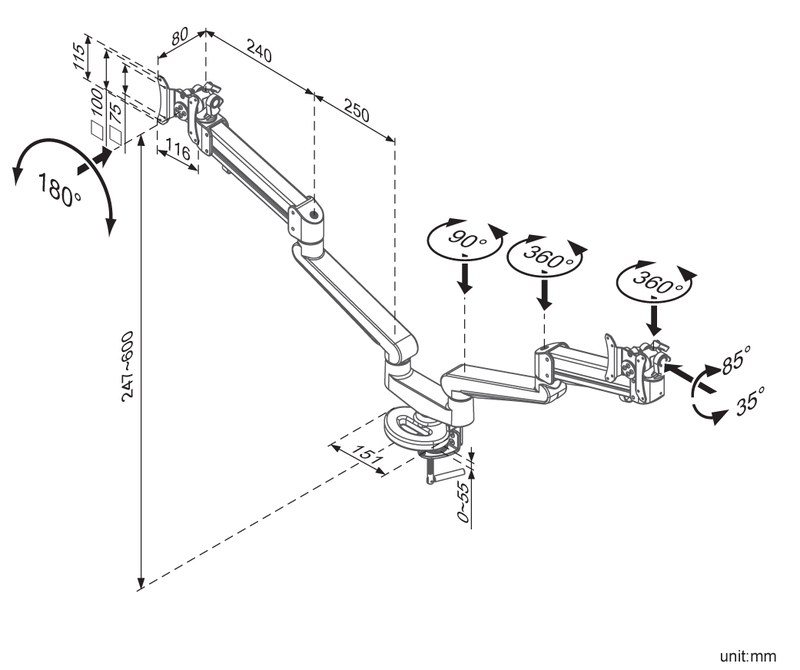 Thanks to an internal gas strut, it gives the users fingertip control over monitors that weigh up to 19 Kg. pr. arm.